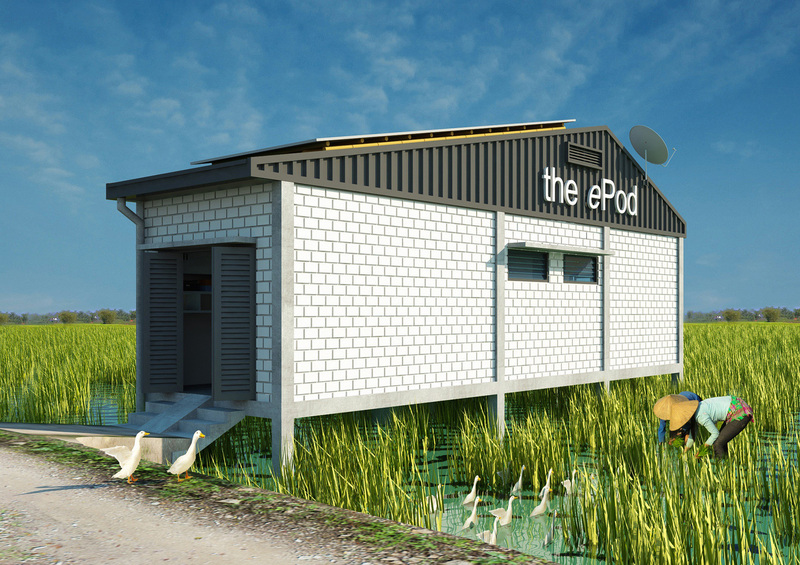 The pop-up ePOD is a smart low-cost home – only 4,500 usd – , a “POD” with solar power and Wi-Fi, adapted for people living in the remote rural area suffering from energy shortage. 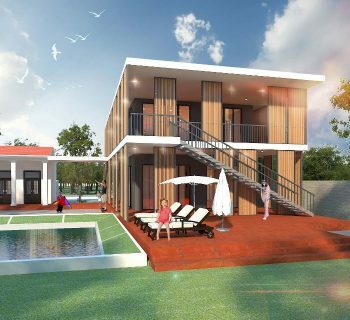 The Mekong Delta region is one of the poorest regions of Vietnam far away from the fast-expanding economy of Southern cities. 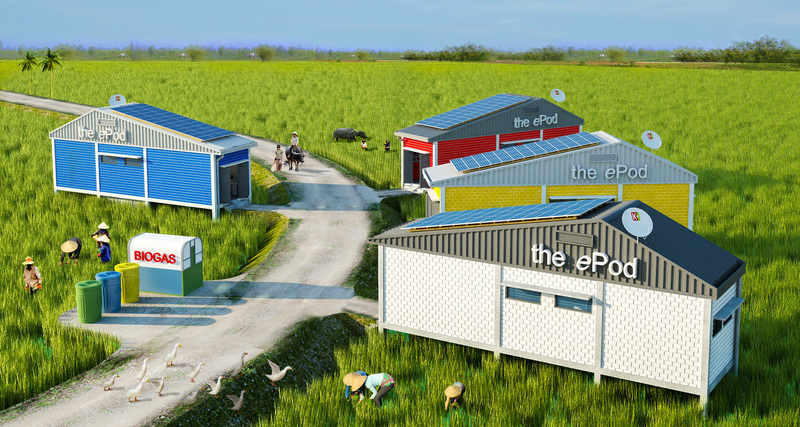 Most people lack of decent home (this area has the highest share of temporary houses compared to other regions), few access to electricity due to power outages and almost no internet whereas this region is full of rubbish due to poor waste management. 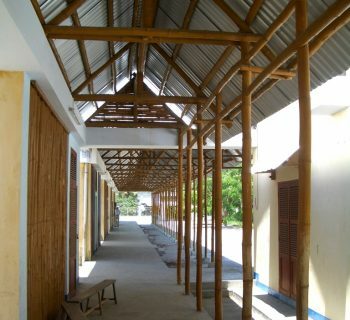 Consequently, this remote rural area has one of the lowest education levels in Vietnam and it is often dark at 6pm, which makes children cannot study. 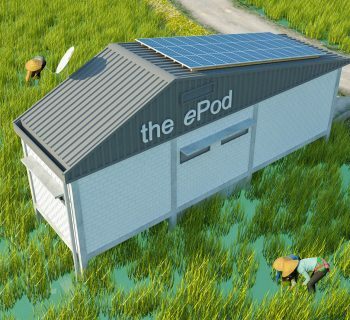 The ePOD (e for economical, environmental & electrical) captures the Wind and the Sun because it is free and unlimited, but it can give more to the people in need: first it is an affordable permanent home, then it gives free solar energy when blackout, and finally it has Wi-Fi so children can get education via internet. 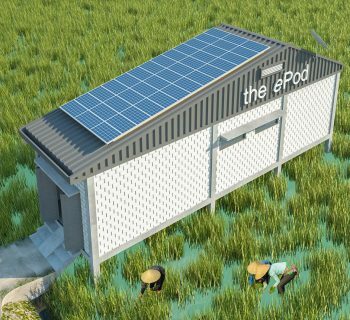 The deep south Vietnam is facing severe outages especially in the rural area and it will face more shortage of power from 2017. 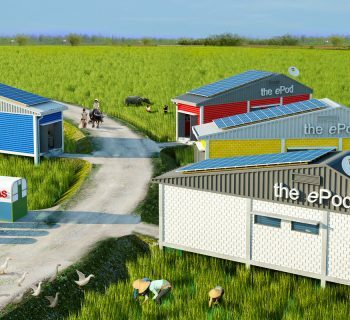 The country’s total power output is likely to fall short of the South’s demand by 10-15 percent, said EVN (Electricity of Vietnam). 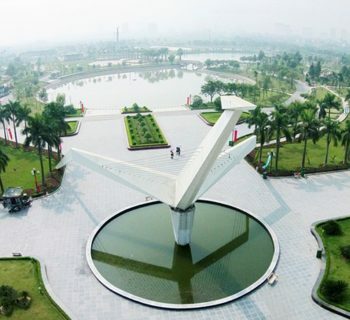 The state utility plans to run more power plants on diesel to produce about 5 billion kilowatt-hours per year starting from next year to supplement supplies in the South. 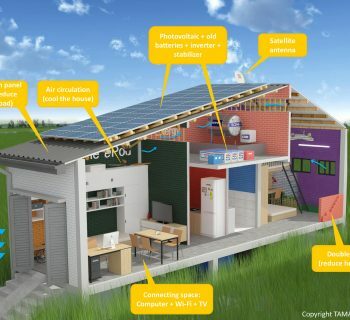 According to the World Bank, over 66.2 percent of the country’s energy consumption comes from fossil fuels. 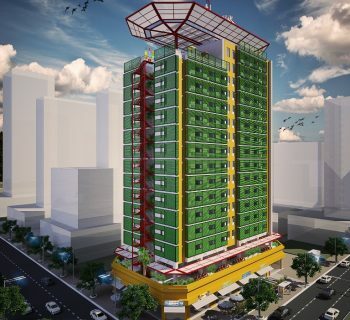 Vietnam’s electricity demand is expected to grow 13 percent annually in the next four years due to its fast-expanding economy. 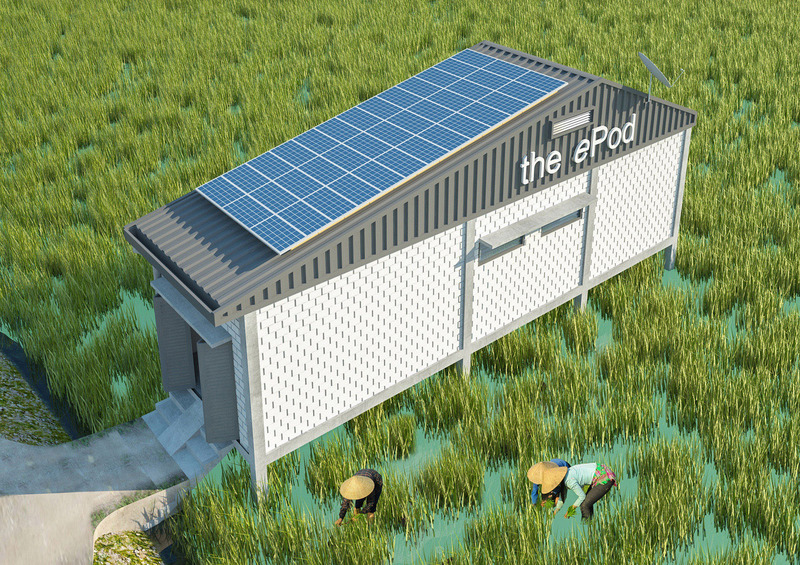 And in Mekong Delta, the situation is even worsen as there is not enough electricity for all when most of electricity production is given priorities to big cities and industrial parks. 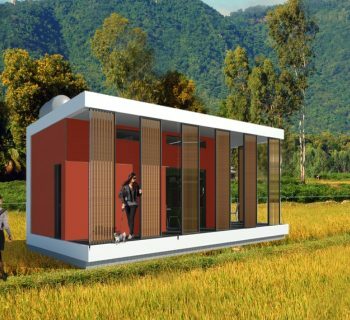 In consequence, the peasants, living on the remote rural area, will face more and more energy outages in the next coming years. 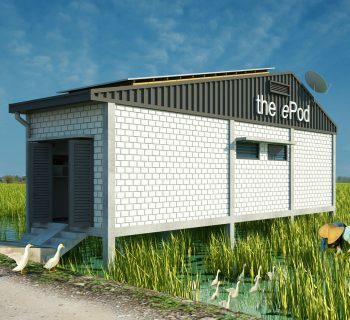 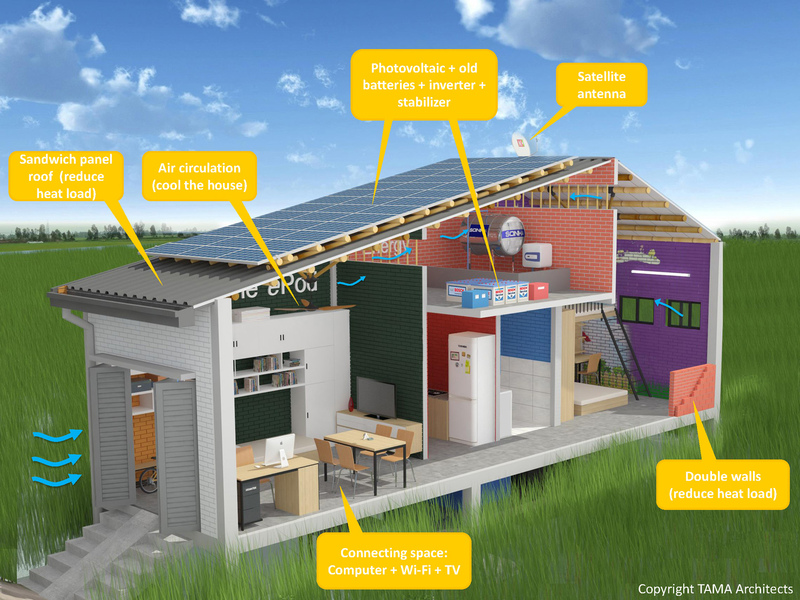 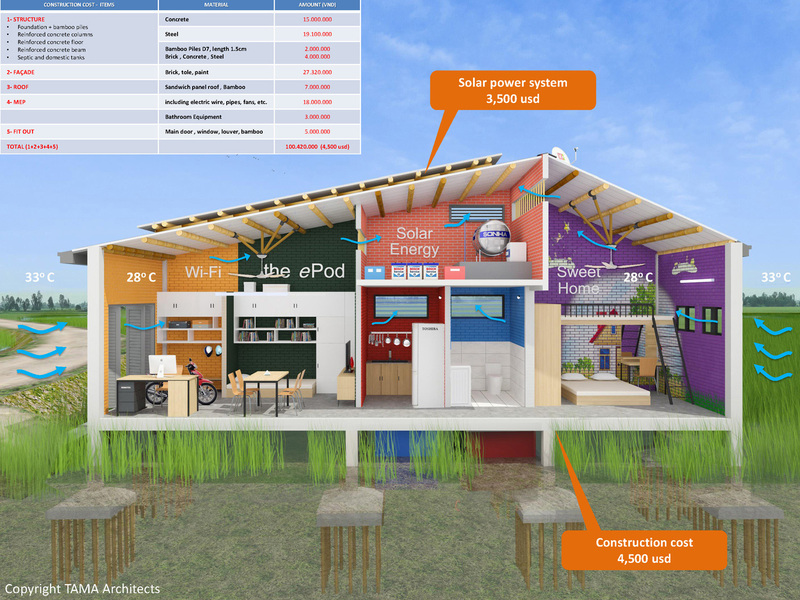 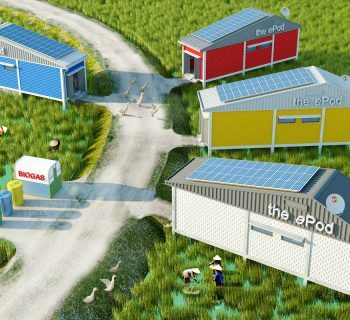 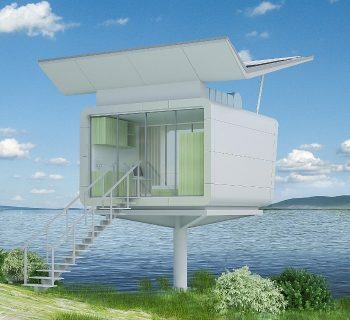 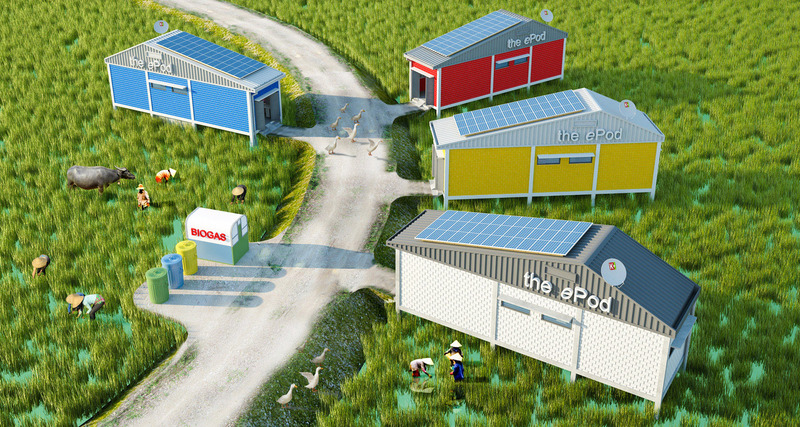 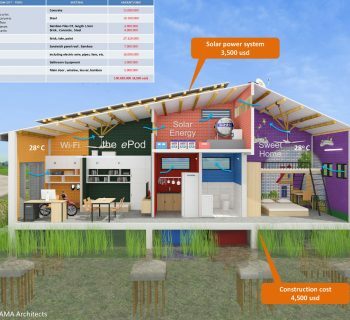 The project is like such a protecting “POD” but designed to be very low-cost – only 4,500 usd and 3,500 usd for the photovoltaic system with old reused batteries, so the poor can afford it – and it is pop-up – that’s mean it is easy to build and assemble in any kind of the environment. 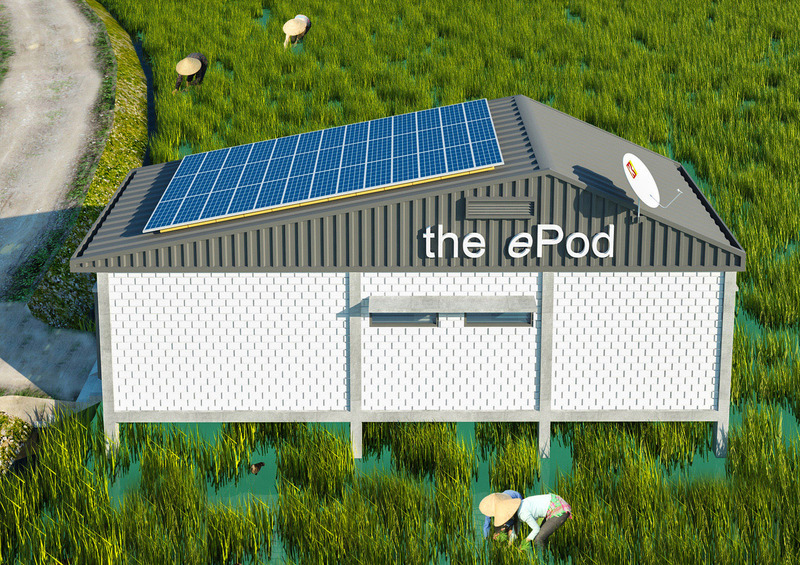 It is a democratic ecology concept inspired by the Vietnamese tube house 3,50 m x 12,50 m. The ePOD is small only 40 sqm net but it features a smart optimized space with full of convenience for a family: a place for studying with Wi-Fi; a central living space (TV + dining + flexible space); a kitchen; a bathroom; and a bedroom. 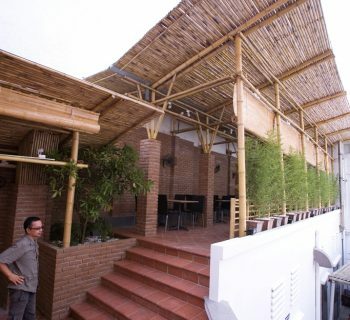 Above the kitchen, a technical room for solar power system and water tank. 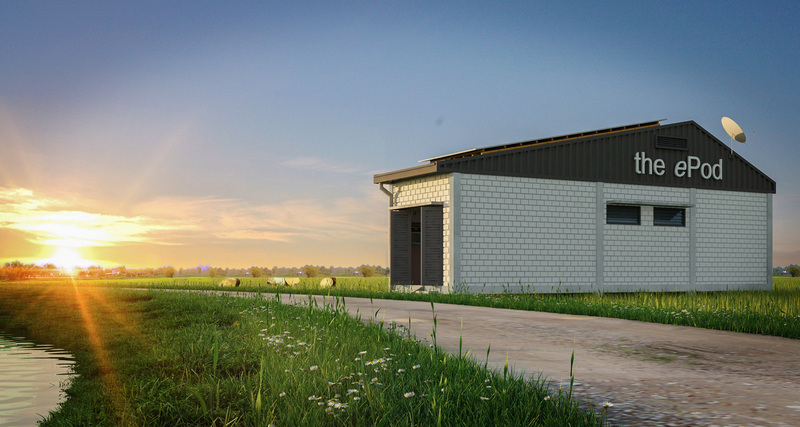 Underneath, domestic and septic tanks. 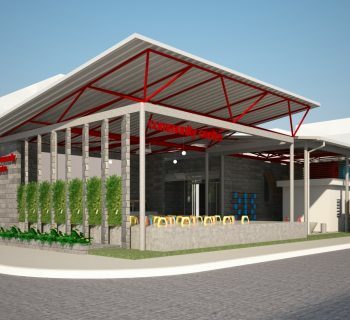 It is designed with passive climatic design to reduce the heat load with ventilated double walls, insulated sandwich panel roofing, and then providing air circulation via fans & openings that ensure natural cooling. 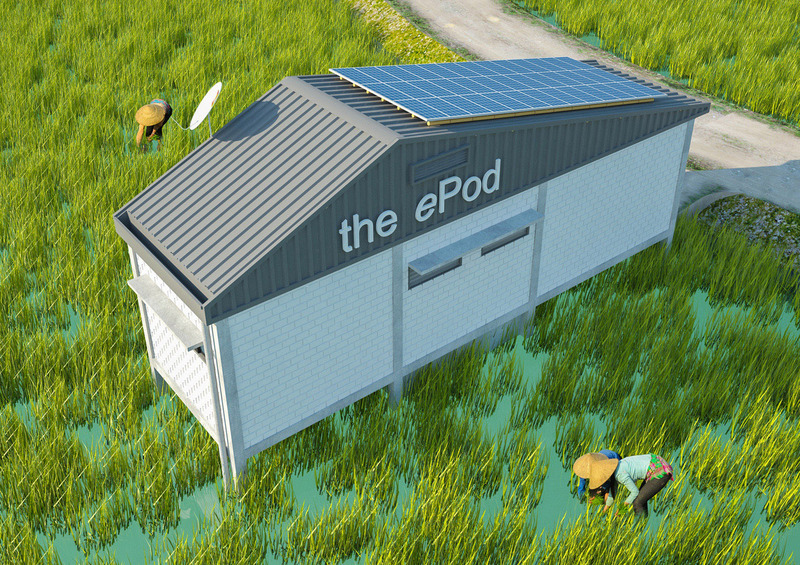 Furthermore, the ePOD has 20 sqm of photo-voltaic panels on the roof to produce and store energy via the batteries. 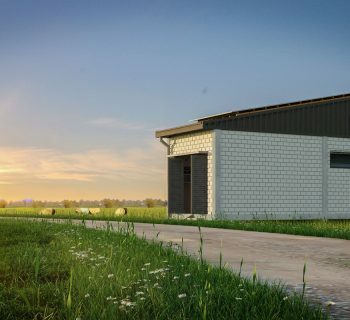 This project can serve directly the communities in need in the remote rural area as it could have an immediate impact for example in providing a permanent protecting home that is a base for a start of a new life. 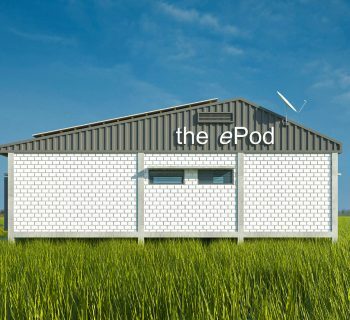 But the ePOD – thanks to the Wi-Fi – is more than just a shelter: the ePOD can bring the poor peasants from farming works directly to the XXI century. 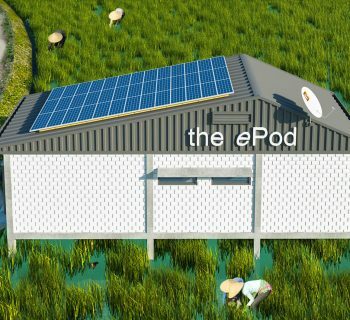 It can give the connection to internet and it is a lot. 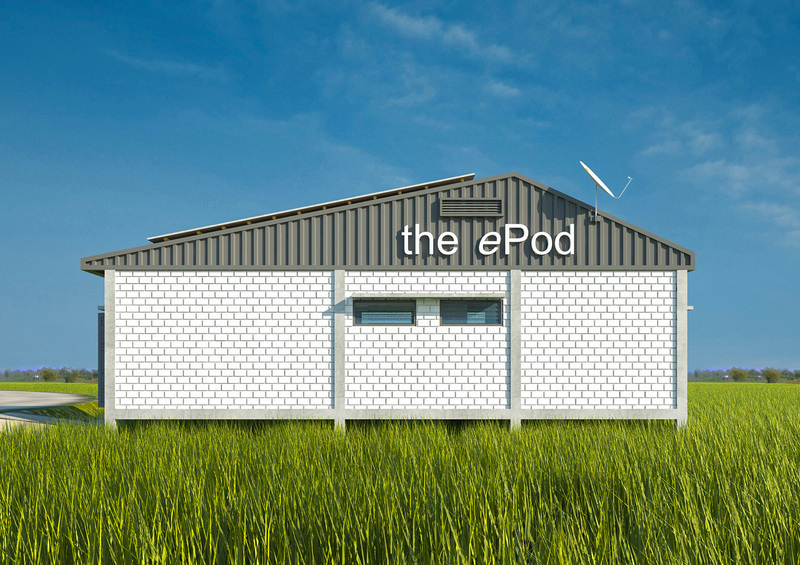 More than just a shelter, the pop-up ePOD can give them a hope of a brighter future.